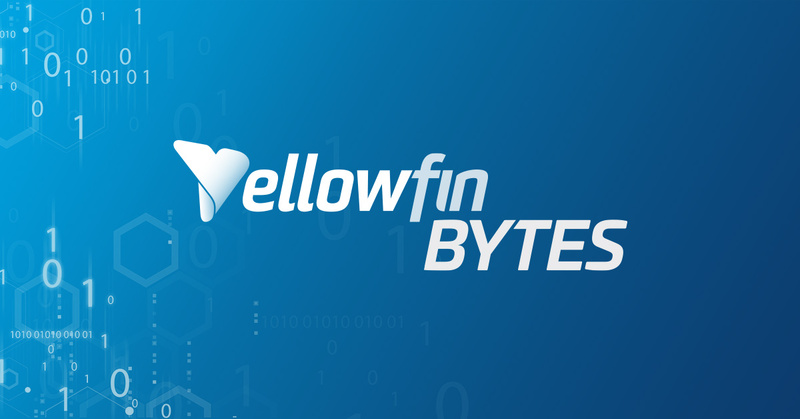 Yellowfin Bytes – our blog series on the little things that make the biggest impact. This edition we’re looking at security for PDF reports. How many times have you been in a situation where you’ve had to send out confidential reports, but without any protection from unwarranted disclosure? One careless mistake, and this report could fall into the wrong hands. Add to this, a scheduled broadcast, that regularly passes on this sensitive information to multiple recipients, and you could very well find yourself facing a serious data breach. To a regular report writer, sharing information with the public, might not seem like a deal-breaker. But imagine the report in question contains patients’ health records compiled by a doctor, or a company’s trade secrets. It wouldn’t be ideal for this delicate data to be available to anyone who received it. Yellowfin’s May 2018 release comes jam-packed with a lot of interesting new features – and one of these lets you protect against data breaches, by including a security check to password-protect your reports exported as PDF files. What’s unique about this feature is that you can set it up from within your broadcasts, so that your PDFs are automatically safe-guarded every time they are sent out, saving you the trouble of repeatedly setting up the password each time. Create a unique password right there on the spot. Choose the report password that was created when the report was exported as a PDF. Use the default, system generated password. The latter two options will only appear if the respective passwords already exist. What are the report and default passwords? The report password is created when exporting the report as a PDF file. Hit the export button on the chart builder for your active report, and choose the Export as PDF option. Then switch off the setting to apply default layout values to reveal additional configurations. Enable the Secure PDF toggle and provide the passcode, before exporting the file. This exported PDF can now only be accessed if the correct report password is submitted. Yellowfin also lets you specify a default password for PDFs that can essentially be used to access every secure PDF file not configured to have any other password. Administrative users can change this password through the Configuration page. Jump to System settings, and expand the PDF Export Defaults panel. Then specify the default password in the PDF Password field. We all know the famous pop culture adage – ‘With great power, comes great responsibility’ – and that’s the logic Yellowfin has applied here. The system has the power to transform your data into meaningful insights, but by adding this security measure into the mix, we’re helping you be more responsible of your broadcasted information. So you can rest assured that confidential data, such as identification, health information, or company trade secrets, can be unlocked by only the audience meant to access it.